Old map by BOOK OF HOURS - Leaf on vellum from a manuscript Book of Hours. Title: Leaf on vellum from a manuscript Book of Hours. 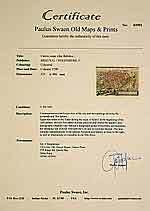 Size: 3.9 x 3.1 inches. Condition: 14 Lines of text in Latin, written in a brown late Gothic book hand. Vellum age toned, spotted and wavy. Small leaf on vellum from a manuscript Book of Hours with 14 lines of text in Latin and one 2-lines intial and nine 1-line initials in blue on coloured grounds with line filler. 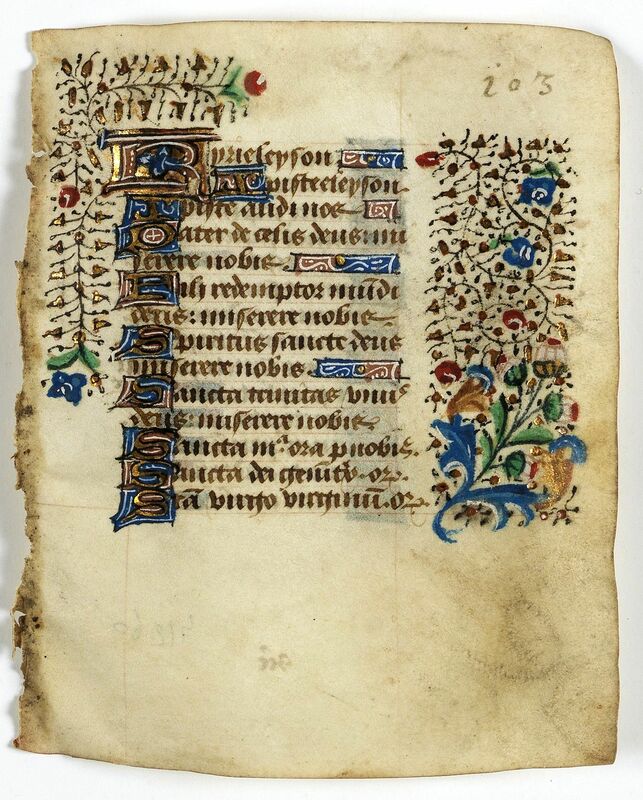 Colourful panel border in the left and right margins of acanthus leaves and flowers, with black pen work. 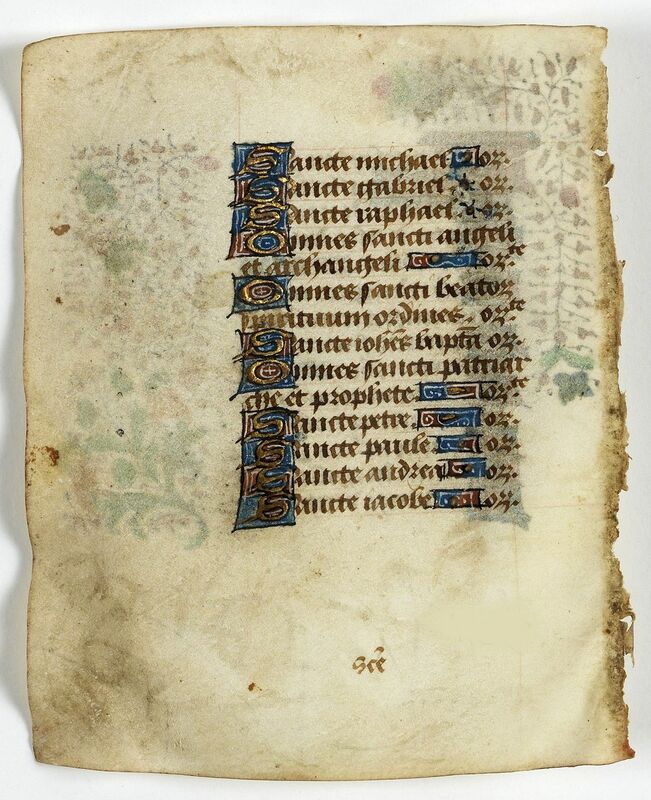 VERSO : 14 Lines of text in Latin and ten 1-line initials in blue on coloured grounds and line fillers.